Edge Tower 2 Mississauga is a landmark residential project crafted for premium living connoisseurs who conceive the better aspects of living. Edge Tower 2 26 Elm Drive West has been developed by Solmar Development Corp. This project aims to set a new standard in elegant living in Mississauga’s prime downtown neighbourhood walking distance to the future Hurontario LRT. It promises a cutting edge design along with the highest quality features and premium finishes. The project has 40 storeys and 422 units in total. The estimated date of occupancy is January 2022. Each suite in this condo development features 9 foot ceilings, laminate flooring, stainless steel kitchen appliances, Quartz kitchen countertops, front loading washer and dryer, amongst others. There are several Edge Tower 2 amenities available for residents including lobby and galleria, 24 hour concierge service, two luxury guest suites, state of the art gymnasium and yoga studio, sports lounge, fitness room, wifi lounge, games room, theatre room, party room, rooftop terrace, amongst others. What are the locational benefits of this project? The Edge Tower 2 location offers several advantages to residents. Centrally located in the City Centre community, this master-planned community enjoys close proximity to Square One Shopping Centre and numerous blocks of plazas that surround it. The University of Toronto Campus is just a 10 minutes’ drive away. Mississauga’s downtown also offers cultural richness, with landmarks such as Living Arts Centre, Opera Mississauga, Art Gallery of Mississauga, as well as Mississauga Celebration Square. There are also a number of restaurants offering diverse cuisines. Highways 403, 401, and 407 are also easily accessible from here. The future Hurontario LRT will be at a walking distance from here. There are also several areas of interest in the vicinity, including Sky Zone Trampoline Park, Playdium, and the Cineplex Cinemas. One can access QEW Expressway, Cooksville, and Port Credit GO Station in just 5 minutes. Brampton Light Rail Train Station, Sheridan College, Bronte College are also close by. This project is just steps away from connections to Union Station and Pearson Airport. 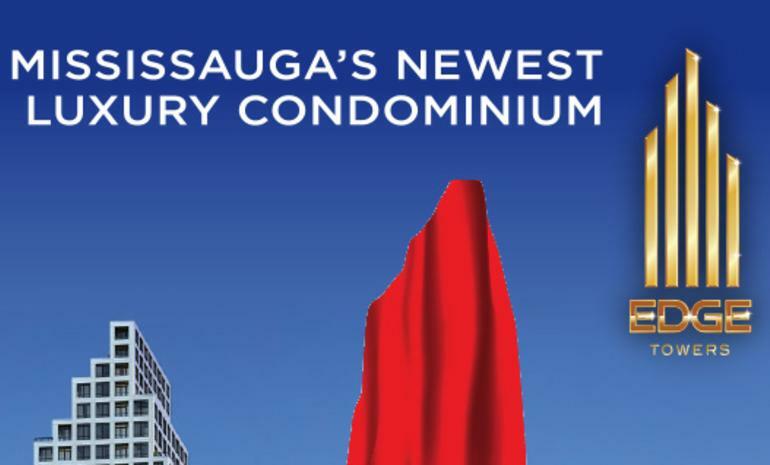 For over 29 years, Solmar has been a leader in terms of building exquisite single family and condominium communities as well as exceptional commercial properties in prime locations across the Greater Toronto Area. Every Solmar community is distinguished by timeless elegance, sophisticated interior designs and meticulous attention to detail. Dedicated to quality living, Solmar communities are rich in character and personality, imbued with old world values and new age efficiencies. The projects offered by this realty player are sure to impress buyers with their blend of classic appeal and modern outlook, and for exceeding customer expectations. This Group is driven the core values of quality, integrity, passion, and leadership. This comprehensive company is not only equipped with wide-ranging competencies in every aspect of the building industry, but also boasts of highly skilled and experienced professionals who bring decades of knowhow and expertise to the table. Thus, all its projects are planned and executed with unmatched excellence, ensuring timely deliveries, and adherence to budget. The Group is also known for its uncompromising emphasis on aesthetics, elegance, and sophistication.